Brigitte Fassbaender Interview with Bruce Duffie . . . . .
As a member of an outstanding ensemble, Brigitte Fassbaender holds her own among other lustrous colleagues in opera houses and concert halls all over the world. She has made a particular name for herself in several roles, as well as being a lieder singer of the first rank. Some of the details of her career can be found in the box at the bottom of this webpage. Having known her artistry from recordings, when she came to Chicago in 1988 I made it a point to arrange an interview. Fassbaender was in the Windy City for performances at Lyric Opera of Chicago in Salome with Maria Ewing, James King, Siegmund Nimsgern and Leonard Slatkin. [Names which are links on this page refer to my interviews elsewhere on my website.] Her English was quite good, but as with so many who work in several languages, she uses the new words in her native structure. Some of that structure has been left in this presentation, especially when it does not detract from understanding her intent. I am always mindful of the needs and schedules of each of my guests, so I made sure that she was well and had plenty of rest when setting an appointment. While setting up the machine to record our conversation, she mentioned that she had a lot going on and had previously been on antibiotics so as not to miss any performances . . . . . . .
Bruce Duffie: Is the life of a singer too tough? 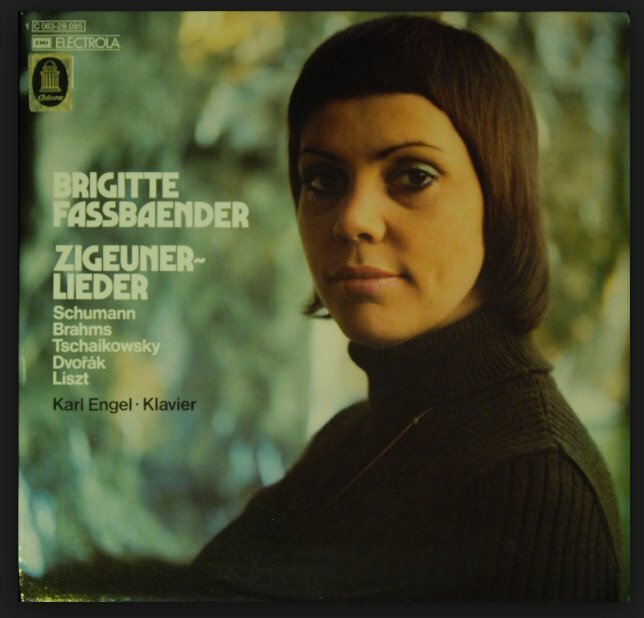 Brigitte Fassbaender: Probably not too tough, but very tough. [Both laugh] Every life and every serious profession is rather tough, and I would say a singer’s life is rather hard, more than one thinks, usually. It’s not the luxurious, wonderful traveling life most imagine it to be. In fact, it is the opposite. It’s hard work, and traveling is not so nice all the time. BD: Should the public be aware of that, or are they only concerned with the artistry that is on the stage during the performance? BF: I think they should only be concerned with the artistry, what’s going on at night on stage. They should believe in the wonder world. They should not know what’s going on. But sometimes they should realize that singers are not machines, not perfect working machines. They’re human beings with weakness and indispositions, and with many, many feelings, also. One can have a headache or stomach pains, or someone is not always in best form. BD: Is there anything that you can do to get around the little pains or being a little tired? BF: There is nothing. This is nothing you can do. Like with every other normal person, you must jump over your shadow every evening, actually. I want to be as much as possible pleased with my work, and so should the public. I want it, but I’m never content. But I’m glad when the public is content sometimes. BD: [With a gentle nudge] Sometimes??? BF: [Smiles] Mostly, I hope. BD: Tell me the joys and sorrows of being a mezzo-soprano. You don’t have any latent desires to be a soprano? BF: No! No, no, no. I was always content with that Fach, with all these parts I could sing. When I was a student I dreamt of Tosca and Fidelio, but I realized very quickly that was not in my voice range. So I was very content with what I could fulfill. BD: Then it is the range that completely dictates which roles you will sing? BF: Absolutely, I would say so. Some singers are making experiments. I sang also Marie in Wozzeck. I wouldn’t say that is an experiment since that is a part which is sung often by mezzo-sopranos. But I never stepped out my real Fach, my real parts. I’ve stayed in my limits, I hope. BD: Even within the mezzo-soprano range there’s a whole long list of roles. BD: How do you decide which ones you’ll accept and which ones you’ll put aside? BF: I tried always to stay with parts which I felt, over the years, didn’t take away the flexibility of my voice. Some years there was a danger that I should sing very often Italian parts. There was a time when I sang Eboli and Amneris, and I was very interested in that. But I felt when I’m staying in that line and I’m singing that all the time, you get so fixed in that style that you lose the ability to sing lieder. I feel doing lieder is very cultivated, and concert singing and lieder interpretation is what I’m most interested in. So I tried always to stay with these parts which fit to my voice totally, without the strain in the voice too much over the years. That keeps the voice as fresh as possible, as long as possible, to sing these wonderful lieder repertoire that we have in Germany. BD: So you are very careful about selecting roles and pacing them during each season? BF: I made them a very wide range. I didn’t specialize, but in the years it crystalizes which parts are the best. These were actually Mozart and Strauss. I was the best in Mozart and Strauss over the years. BF: I sang often Wagner. I sang the Frickas, I sang Waltraute, and I am singing now Brangäne soon again, but not all the time. I take two, three, four years rest from these heavy parts, and then do them again. I don’t do it permanently. BD: Now you’re also branching out into the French repertoire? BF: I sang actually only Chralotte in Werther. It was with great, great pleasure, I would say. Next to Octavian, is that my most famous, most beloved part. BF: Actually in the tessitura of the voice, they aren’t far apart. It’s the same tessitura. I love Puccini, and Puccini has nothing written for mezzo-soprano. So when I sang Charlotte, I always felt in these wonderful, bloomy, blossoming phrases and lines like Puccini. I was very pleased with the part and also the character. It was very close to me, and I felt very well in it. BD: You’re not a frustrated woman who’s trapped in a poor marriage, are you? BF: No, no, not at all. I’m not that, but I mean the emotions, the human being emotions, and full of life and sadness. I like that. BD: Is Charlotte a strong woman? BF: Yes, for me she is. She’s very disciplined and very strong. She suffers a lot. We made a wonderful film with Peter Dvorský, who was my Werther. I liked that film. I hope it comes out on these video records. BD: Do you feel that opera works well on video? BF: When these productions are specially made for film and tape, then they work well. Sometimes it’s very fascinating, also, to have all these taken from stage directly, these live productions, but actually you are right. Opera is nothing for television. But I like to have done it, and I like it that it’s preserved. BD: What about audio recordings? Do you think that opera works well when it is missing the video spectacle? BF: I’m not a real great record fan, no. I don’t like to listen so often to opera records, but I like to do them. [Both laugh] I like that work, the microphone work. BD: Do you sing differently for the microphone than you do on stage? BF: No. The only difference is probably that because there is no visual imagination for the listener, you have to put in a hundred fifty percent of intensity instead of hundred percent. You must be much more intense working for the microphone because they don’t see you and they don’t feel with you. They just have the pure vocal adventure. BD: You feel this intensity comes through? BF: I hope so, yes. That is also a question of training and of experience over the years. I remember when I made my first records, I was much too shy to give such a lot. Then when I listened to them, when the technical staff called me in to listen what we just did, I was always disappointed with the result because it didn’t come through as I had felt while I’m doing it because it was only for me and it was not enough. So I must jump over that barrier and give more and more, and that worked. BD: Were these operas or lieder recordings? BF: Lieder and opera also, but in opera it is probably easier because you have the colleagues and you have the orchestra. Mostly it’s stuff you have sung often on stage, then you bring in all these emotions. But with lieder it’s a difficult thing for records, but I love it and I’m doing rather a lot in the next years, which I’m very happy about. I just finished Winterreise, and the next project is Schwanengesang and all these great Schubert cycles. I’m doing lots of stuff, and I’m very happy about that. BD: Those are cycles that women don’t usually sing. BF: We don’t usually sing them, that’s right. BD: [Thinking about who has recorded them...] Lotte Lehmann and Schwarzkopf, and that’s about it. BF: Yes, and Schwarzkopf did not do Winterreise, only Lehmann. BD: Is there any problem with a woman singing these songs? BF: No, I don’t think so. I’d also sang Dichterliebe, which is a totally other field again, but for me it was not at all a problem. I can’t explain it. It’s another viewpoint of doing it, absolutely, but for the voice, purely for the voice, it’s beautifully written for a woman’s voice. BD: Is it more like an opera to sing a whole song cycle than just groups of songs? BF: I like it if it’s a cycle or not. I try to do mostly three composers, or better, only two composers in one evening of a recital. BD: One on the first half and the other on the second half? BF: Yes. And I try to make my groups not like a cycle, but to have a line in a dramaturgic way. BF: That is a path, yes. For me, that’s the way to do it. I don’t like these programs when you have two or three songs from each composer. Anyway, there are not so many cycles, but actually to sing a cycle, it’s more fulfilling. It’s more adventurous to come through, but it has nothing to do with an opera experience. It’s another kind of experience, an inner experience. I always feel that a recital is as difficult as an opera to sing vocally. It’s not easy. BD: I would think it actually to be more difficult because you are it. BF: One has to be more disciplined, and you are there the whole time. You never have a pause. You can’t go to your dressing room and wait until your next aria. You are really your own producer. BD: You and the pianist? BF: You and the pianist, absolutely. BD: Is it difficult to find a pianist with whom you can work? BF: Yes, absolutely. It’s very difficult. You have to find one with the same wavelength and with the same intuition on the fantasy. Your pianist must be a strong one, so yes, it’s difficult. BD: Do you get insight from the pianist? BF: Yes. I always like pianists when they are really strong, when they are a strong personality. I have one, Irwin Gage. He’s well known in America, too. In the last years I’m working not only with him, but mostly with him. He is a very strong person. We connect quite well together. I have others also, young ones. I try to prepare a young one and make that work because when you work a very long time with somebody, there’s a danger of stagnation. So sometimes you need somebody else to work out other things and to renew your fantasy. BD: You’ve used the word fantasy a couple of times. Is this what music is, fantasy? BF: This is not what music is, but I think what an interpreter should bring to do music. That’s the fascination of interpretation, to recreate it every time. It’s then totally yours. BD: Is this what makes any song or any piece of music great — that you can sing it over and over again and still find new things? BF: I think so, but that is only the case with good music. [Both laugh] With the best music, that you don’t get bored with it. There are some things in opera life and also lieder life that you could get bored with over the years. You fulfill it then totally and there is nothing left. There is no corner left in which you haven’t looked. BD: Do you sing some of these lesser songs, or do you only sing the great songs? BF: I try to sing only really good music. Probably that’s a little bit sophisticated, I don’t know, but I can’t bring that over my lips sometimes. But there are some good songs also with lighter music. I’m doing lots of Mahler in the next years. All of what Mahler has written for mezzo-soprano is being done for records. I will also do things by a strange, unknown composer, probably totally unknown here in America, Karl Loewe. In Europe, only a small part of what he has written is known. He’s a German composer and he is very famous for his ballades, but he wrote a lot of lieder, quite good ones, and I made a lot of them. It was very interesting. BD: Did you purposely sing Erlking of Loewe and Erlking of Schubert together? BF: No, I didn’t. I didn’t sing the ballade. Erlking is a ballade of Loewe. We tried to avoid that because it’s often sang by a man. 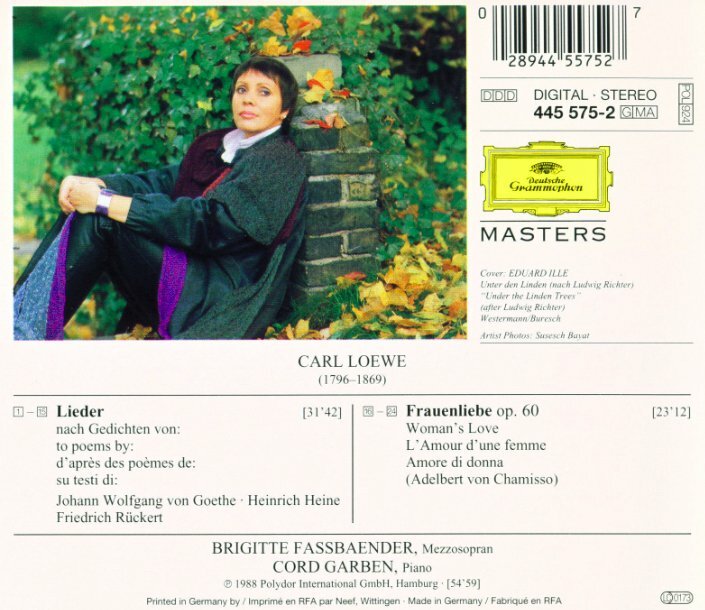 But interestingly enough, Loewe also wrote a whole cycle, Frau Lieben und Leben, what Schumann also did. We combined that for one record. There is a big difference between them. Loewe was the first; his was written before Schumann, and it’s very, very interesting. I’m looking forward to that record. BD: Let’s come back to your operatic roles a little bit. Have you recorded Octavian? BF: No, and that will not be. BF: First of all, I have stopped singing Octavian. I have been singing it now for twenty years and I think that’s enough. Not that I got bored with that part! That part is so wonderful and the opera is so wonderful, and actually there were very, very few evenings when I felt not in the mood to do it. I was always engaged on stage with that opera. But I felt now that probably I’m a little bit over the time. I stopped singing it last year, actually. In the summer I did my last performance in the wonderful Munich production, where I created it and did the premiere. I sang it all over the world, and I thought now that people have enough of it from me, now the youngsters should sing it. But there are other Strauss — the nurse in Frau Ohne Schatten and Clytemnestra and Herodias and so on. There are more Strauss parts now coming. BD: Strauss wrote so well for the female voice? BF: Yes, that’s it. Wonderful! BD: What is it that he had for the female voice? BF: I don’t know. I don’t know what it is. He wrote wonderful for the special tessitura. The females have a sound together; there’s a homogeneity which is so wonderful. This is unbelievable, what he did, and it’s such intelligent music. I like that. BD: You don’t ever find it a problem to get over the large orchestra? BF: No. I don’t think it’s a problem that the public doesn’t hear me for a moment. When the orchestra is too loud for a couple of minutes, so what? I don’t fear that. I never thought about it that way. I think it’s awful when you have an evening with a loud conductor the whole time, but there are some bits in operas where they have to be loud and the singer must just sing. BD: Do you know those sections are coming, and you hold back a bit? BF: No, I don’t. I don’t bang out and I don’t hold back. I am not ambitious always to come over the orchestra. BD: Is there any time that Salome or Elektra should be done on the same bill with something else, or is that all that there should be in the evening? BF: You mean because they are short pieces? No. I think they are so strong they can’t be with something else. They are really strong. That’s enough for an evening, I think. I feel exhausted even with the little Herodias, which is not a big part. When you are really fully of emotion and tension on stage, in these two hours you are really exhausted in the end. It has nothing to do with only the singing production. It is very strong what’s going on, especially here in the production which is wonderful. Maria Ewing is, for me, the Salome in our time. I can’t imagine somebody else now. It’s really great what she is doing. Sensational! BD: Did you sing it with Anja Silja? BF: Yes, but not Herodias. That was in my first days, and I was the page. It was years ago in Stuttgart. I have no remembrance at all. I have no memory at all of it. BD: You say it’s exhausting to sing the Herodias. Do you feel that even though you’re used to singing Octavian, which is a lot more music? BF: Ja, ja. This has nothing to do with it because it has nothing to do with the singing, actually. It is the emotions. You have to feel this Salome every moment, and that’s it. BD: Do you sing differently from small houses to large houses? BF: I think so. I think the voice takes it. I always have the feeling when I’m coming on a stage which is not familiar to me, as if I take a measure. I look out and I measure it. I measure the hall and the stage and make some noise which shows me how the acoustic is. Then the voice makes an adjustment automatically. BD: How are the acoustics here in Chicago? BF: Wonderful. Wonderful! Really. Better than in Munich even though it’s a little bigger house. The acoustic is really wonderful. Always in these old fashioned houses they knew how to build for singers. Absolutely. The old opera houses and old concert halls are always the best in the acoustic. The new ones they build now are awful! BD: In opera, where is the balance between music and the drama? BF: The best operas are those where the drama is as strong as the music, and the music is congenial to the work — like with Mozart operas to Da Ponte texts, or the great Strauss-Hofmannsthal collaborations. These have enormous, wonderful books. The literature is so great in these pieces. Or Wozzeck of Büchner. All these pieces I love where the drama of the actual literature is as great and artistic as the music. In the Italian operas, you actually only concentrate on the music and not on the words. BD: Does that make the Italian dramas weaker? BD: With Figaro there’s a line; with Trovatore, it’s scene, scene, scene, scene. BF: Yes, that’s it. Ja, ja. BD: [With a gentle nudge] How can you sing a role when you don’t understand the story? BF: Oh, I understand what’s going on with Azucena, but I never understood what is really going on in the opera. I can understand Azucena’s feelings with all these burned babies, I mean! [Both laugh] That was just a joke, but that’s it. BD: But if you don’t understand, how can the audience understand? BF: Yes, but here I like that so much that they have these lines with the translation. BF: Yes, the supertitles. I like that because the reaction of the public is so wonderful! I remember when we had Rosenkavalier in San Francisco with supertitles, they laughed such a lot! They laughed more and they got every little joke and everything between the lines. You never have these wonderful reactions in Europe. BD: [Surprised] Even in Munich??? BF: No. Not at all! They laugh about the real jokes, what they can see, but they don’t take in all of what’s all going on. It’s really good, really helpful. I like it very much. They even laugh in Salome where there are some funny lines that are absolutely meant to be funny. There are some cynical and ironical phrases from Herod and Herodias when they always have these little fights, and it’s wonderful that they take that all in! BD: You play lots of wives and other kinds of not particularly happy women. BF: Witches! Something like that is great. It’s interesting to change so drastically your personality. BD: Are there any characters you play that are perhaps a little too close to your own self? BF: No, I can’t say so. You can identify with some feelings in every part, I would say, but I think that is the art of art, that you have to change and you have to step into the moment you are doing. But you are not that. You must not be like Carmen or like Salome to be a good Carmen or a good Salome. You must just transpose it, translate it for yourself and take it in for a while. BD: Are you portraying the character or do you become that character temporarily? BF: Half and half, I think. I never know exactly from where I start. I always notice that it’s enormously important and very helpful for me to have the right feeling in the costume and in the make-up. Both of those facets, costume and make-up, change your personality by how you look in a part. From that side, you take a lot into a part and how that person moves on stage. The gestures must be specific for that part, for that personality, for that character you have to portray, but that has nothing to do with yourself. There is also the enormous difference to concert and lieder singing, where you have to be totally yourself, and where you have to identify with the feelings in what’s coming out from the lied. There you have to present your heart and your soul totally to be believable. On stage, in an opera part, you have to present the character from out of the circle of life which is just going on in that evening. BD: It sounds like you have to put more into the lieder. BF: Yes. I would say for me it is especially personal. I can only answer it in a very subjective way. I always say for me it’s an intellectual adventure to create a recital. It is also an intellectual adventure to work into an opera part, but it is not so fulfilling after a while, after some years. I think it has to do with the life of a mezzo-soprano, where there are not so many parts staying with you. You have to give up some, but the literature of lieder never ends. But that doesn’t mean that I’m not fascinated and interested anymore in opera. Not at all. I am opposite. I am so fascinated by theater world, all in all, that I have in mind that I will start to produce a little bit. This doesn’t mean that I will stop singing totally, but for example, I am doing a production of Rosenkavalier next year in Munich. I’m not singing that role anymore, but I have to watch it now from the other side. I’m working with a totally new team in the old production, which is a wonderful one by Otto Schenk. Some of the singers have never sung these parts. I have a totally new Ochs, Jan-Hendrik Rootering who just sang here in Chicago in Tannhäuser. It will be his first Ochs, and I have an American mezzo-soprano, Susan Quittmeyer singing Octavian. BD: Now when you mold this Octavian, do you mold her in Strauss-Hofmannsthal, or do you mold her in Fassbaender? BF: No, I hope not in Fassbaender. That is not possible. She must be Susan Quittmeyer’s Octavian, and I hope I will not come in danger that I’m only concentrated on Octavian. I have to work with the Marschallin and the Ochs and the Sophie as well. BD: So to be great, you have to be careful not to over- or under-emphasize her? BF: Absolutely. But that’s my first step in that world. Then I will make a production in a very little house, in the end of the world in Germany behind the forest, so to speak. I’m doing Cenerentola, and then I’m doing Lulu in a little house in Austria. BF: I don’t know. They want the two-act version, but I want the three-act version, so we will see what comes out. It’s a question of money for these little houses, and it is a much bigger ensemble. The third-act version is very expensive. I will start with that, and I’m really fascinated by it. BD: If they’re going to do Lulu in two acts, would it be better to not do Lulu, and do, say Wozzeck or something else? BF: I think so, but I think they’ll stick to it. I don’t know. I will see, and then I have to try to make that compromise. BD: I hope there are not too many compromises in your career. BF: Well, I hope not. [Laughs] I hope there will not be. There weren’t until now, and I don’t want them further. BD: May I ask you a little bit about your father? BD: Tell me about his voice and his performing. BF: Oh, I loved his voice. He was my teacher, and I heard him rather often when I was a student and a schoolgirl. I traveled where he sang, and in his last years I saw all his famous parts including Rigoletto, Figaro in Barbiere and Scarpia. He was always the top, absolutely, but I didn’t know that. For me it was great, and when he stopped singing he was a wonderful teacher. I loved his voice enormously. It had a special brilliant sound. He was a real Italian baritone. BD: When you were growing up, did you know immediately that you wanted to be a singer because he was a singer? BF: No. I wanted to be an actress, actually, because my mother was an actress. It was rather late that I discovered the voice. When I finished school, suddenly it came out. I don’t know why. So, then I found I could combine both these wishes of acting and singing in the opera. BD; Is there acting also in lieder? BF: Inside, but it shouldn’t be outside. There is a little bit, but not real acting. BD: Does that frustrate you at all? BF: No, not at all. BD: What advice do you have for young singers coming along who are aspiring to your kind of career? BF: Honesty with oneself and knowing the limits of your talent. You should really do it only when you have a real talent. Don’t start with that profession when there is doubt of the vocal quality. It is only pain and torture then. That profession is only fulfilling when you can build on your strength, on your talent. Things go quicker and faster for the singers now. Agents are looking always for new talents, and only the strong ones are making it. There’s no reason to start — not to speak about a career — when you do not have a real talent. Real talents are very rare. BD: Haven’t the real talents always been somewhat rare? BF: Yes, absolutely, but today they are more in danger and even more rare. They get used and thrown away. BD: They are seen as being disposable? BD: Is there no way that we can shake the agents and managements to wake up? BF: It’s a total commercial, only to do with selling and buying. You could shake probably the opera directors, but not the agents. The directors are more careful with young, good voices. Most young singers are over-singing immediately. They sing much too heavy parts and too many nights. BD: They need to pace themselves? BD: Thank you for being a singer, and for having given us so much during your distinguished career. Are you coming back to Chicago? BF: I don’t know. I don’t think there’s anything planned in the next years at the moment. I would love to. I like it here. I think it’s a very nice house. It’s a wonderful atmosphere. The colleagues are very nice, and the director, Ardis Krainik is wonderful with all the singers. The whole staff is extremely nice, and I like it, really. 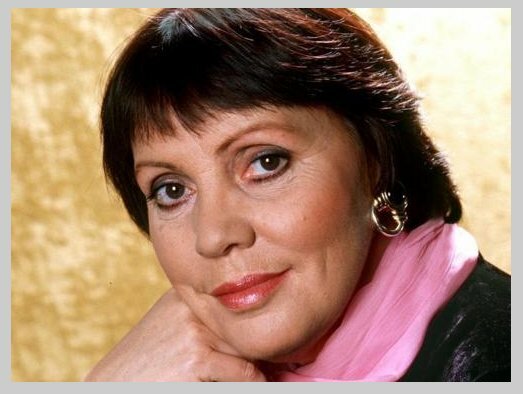 The German mezzo-soprano, Brigitte Fassbaender, is the daughter of screen actress Sabine Peters and the celebrated German baritone, Willi Domgraf-Fassbaender. Brigitte's first love was not music, but theatre. She longed to become an actress like her mother, and it wasn’t until the family settled in Nuremberg that she began to secretly experiment with her voice. When she felt confident enough, she made a tape of arias and lieder and sent them to her father, who was then the head of the opera department at the Nuremberg Conservatory. 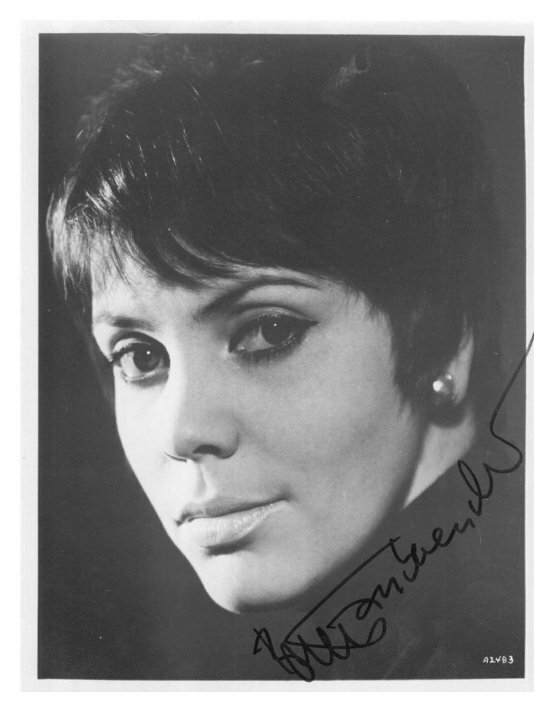 Domgraf-Fassbaender promptly took his daughter on as a pupil, and she studied at the conservatory as a mezzo-soprano from 1958 to 1961. She made her debut in Munich as the Page in Wagner's Lohengrin, which led to other small roles in various operas. Later in 1961, she made what she considers to be her real debut, as Nicklausse in Offenbach’s Les Contes d'Hoffmann. During the next twelve years, Fassbaender perfected her artistry, and in 1970 she was given the honorary title of Kammerägerin. In Munich, she appeared as Hänsel in Engelbert Humperdinck’s Hänsel and Gretel, Cherubino in Mozart’s Le Nozze di Figaro, Fatima in Weber’s Oberon, and Narciso in George Frideric Handel’s Agrippina, as well as Octavian in Strauss’ Der Rosenkavalier, which she first sang in 1967. Octavian launched her international career when she appeared at the Royal Opera House (Covent Garden) in London in 1971 and at the Metropolitan Opera in 1974. She sang Octavian for more than 20 years, and then retired the role from her repertoire in 1988. As her career took off, she began to add many new roles to her repertoire. She has appeared as Clairon in Capriccio, the Composer in Ariadne auf Naxos, Fricka in Die Walküre, Carmen in Carmen, Orlovsky in Die Fledermaus, Amneris in Aïda, Maddalena in Rigoletto, and Eboli in Don Carlos. 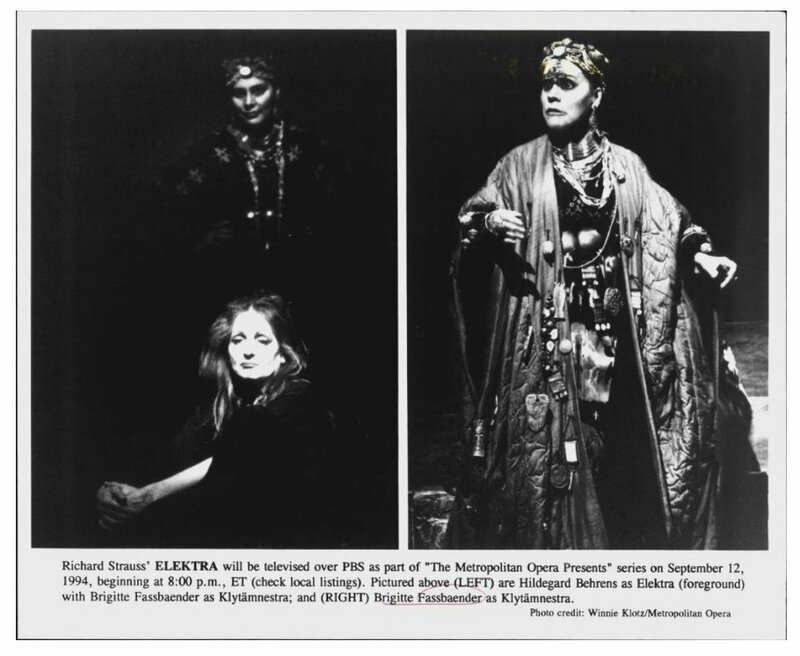 More recently, she added the role of Klytemnestra in Strauss’ Elektra. 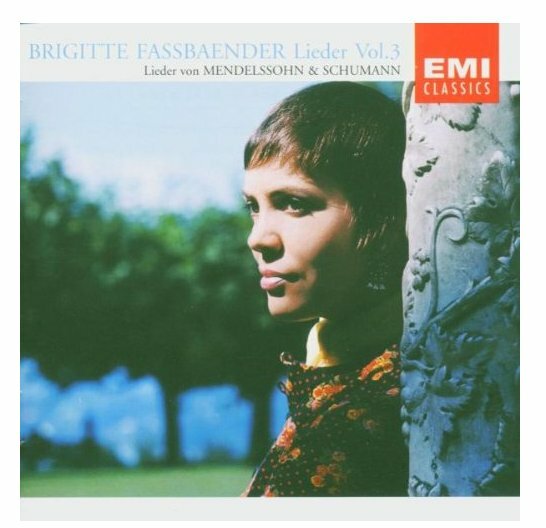 Brigitte Fassbaender has also been successful as a lieder singer. 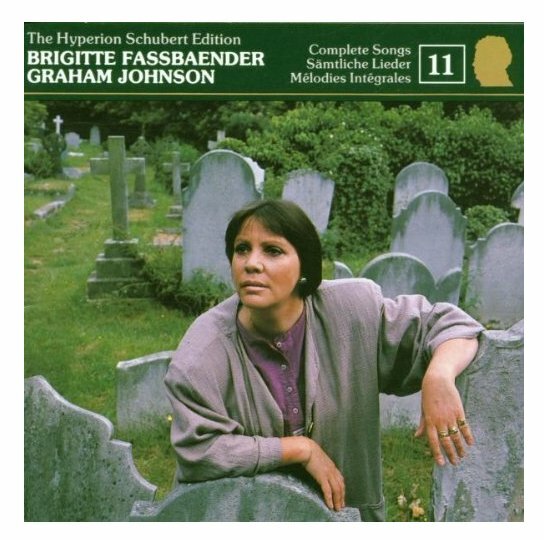 In 1987, she won a Gramophone Award for her disc of songs by Franz Liszt and Richard Strauss. She has also recorded Schubert’s song cycle Winterreise, as well as Johannes Brahms’ Die Schöne Magelone and Carl Loewe’s little-known Fraünliebe cycle. Besides her vocal artistry, she has also done some producing (stage-directing), and was Intendantin (Managing Director) of the Tiroler Landestheater at Innsbruck. She is a teacher of solo vocal music at the Musikhochschule in Munich, and a fellow of Manchester’s Royal College of Music. In January 2011, the French Government appointed her an honorary Chevalier of the Légion d'honneur. This interview was recorded backstage at Lyric Opera of Chicago on December 8, 1988. Portions (along with recordings) were used on WNIB in 1988, twice in 1989, and again in 1994 and 1999. The transcription was made and posted on this website in 2013.